When it comes to handling contested and uncontested divorce cases, we understand that this is a difficult time for you. That’s why our divorce lawyers ensure to listen to all details regarding your situation and guide you through the process, looking out for your best interests along the way. Berry K. Tucker & Associates, Ltd. has years of experience in divorce law in the Oak Lawn, IL area. With over 50 years of combined experience, our divorce lawyers of Oak Lawn, IL will provide a competitive representation that asserts your needs and goals. Throughout the case, you will have 100% of our undivided attention while we use our knowledge of current laws and various resources to help attain a solution that works in your best interest. We also understand that each case will be unique, which is why we take the time to listen, research, and devote ourselves to your situation. 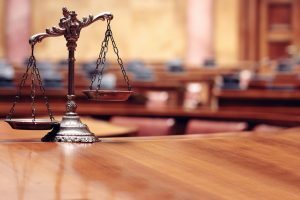 Our divorce attorneys have worked in a number of cases over the years, including all of the following: spousal support or spousal maintenance, domestic violence, child custody and support, post-decree issues, pre- and post-nuptial agreements, allocation of parental responsibilities, division of property, and more. So you can count on Berry K. Tucker & Associates, Ltd. to establish a strong partnership from your first consultation to assertively voice your needs and goals in court. Our attorneys will also be able to answer all of your questions about divorce during the consultation. Allocation of Parental Responsibilities (previously referred to as Child Custody and Visitation) – As any loving parent would do anything for the custody of their child, one must assert themselves accordingly to make it happen. Our attorneys understand that this is a significant priority, thus, we will commit ourselves to your case, effectively voicing your rights and needs in court. Berry K. Tucker & Associates, Ltd. will also work one-on-one with you to develop a Parenting Plan (previously referred to as a custodial agreement) that is reflective of you and your child’s needs and in your child’s best interests. If necessary, this agreement will be litigated in court. Child Support – At our divorce law firm, our attorneys understand that your child must be cared for in the best way possible. So we ensure to focus on the details when negotiating anything from child support agreements in divorce hearings, establishing parental actions, and changing previous court orders. But despite the majority of child support cases are determined by Illinois statute, we will educate you on the particular aspects of your personal case as well as fight for you if there is an agreement involved. Pre- and Post-Nuptial Agreements – After years of working through divorce cases, our attorneys completely understand that nothing is easy about them. So we can work with you and your spouse to establish a solid agreement that works in your best interest. Pre-Nuptial Agreement: You may want to consider this agreement if you are expecting a significant increase in your salary, have particularly large investments, or own or co-own a business. This way all assets, especially financial assets, will be pre-determined to avoid any issues should a divorce occur. Post-Nuptial Agreement: You may want to consider this form of agreement if there are children involved. But in terms of assets and properties, they must be considered as marital or community property when establishing this post-marital solution. We will work with you in drafting an agreement in how each of the assets will be distributed if the marriage results in a divorce. Division of the Property – Our divorce lawyers will work with you in deciding what is considered to be marital property or how the property will be divided fairly. While these include stocks, vehicles, pets, apartments, and other homes, keep in mind that some assets may also hold sentimental value. This is where matters can quickly become sensitive. So our Oak Lawn attorneys can provide some relief while listening to your priorities and ensuring that you walk away with what is yours. Spousal Support (also referred to as Alimony or Maintenance) – While divorcees are often entitled to support in many cases, they may not receive it. The determining factors can include the length, health, and salaries of both parties from the marriage. Another factor to keep in mind is that if a specific lifestyle was attained during the marriage and will no longer exist after the divorce, you will most likely be eligible for the alimony. Your divorce attorney will assess your situation and determine if spousal maintenance is a factor in your situation. Berry K. Tucker & Associates, Ltd. will advocate for you in negotiating the most favorable settlement agreement for you, including whether there is an award of maintenance. Visitation – If visitation, now referred to as Parenting Time, is a factor in your situation, we will advocate for you in developing a parenting plan that is the most favorable agreement for you and your children. Post-Decree Issues – Our divorce attorneys can represent you in cases where issues come up after the divorce is entered and final. This can include any changes such as: marital status, employment, income, resident location, or your child’s needs. Should your spouse not be meeting their obligations under the divorce agreement please contact Berry K. Tucker & Associates, Ltd. to assist you. We will then assert the breach of agreement, voicing its terms and ensuring that your needs are met once again. 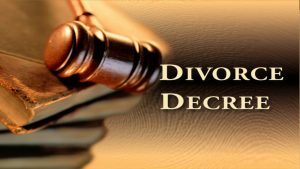 If you are contemplating divorce, or if your spouse has filed or divorce, Berry K. Tucker & Associates, Ltd. offers detailed case evaluations to help you determine what is best for you. We will work with you throughout the entire legal process, answering any questions you may have along the way regarding the divorce case. Berry K. Tucker & Associates, Ltd. has experienced divorce attorneys available in the Oak Lawn, IL area at (708) 425-9530. Contact us today!